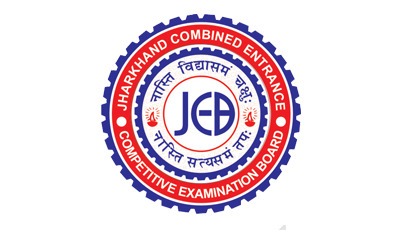 The Government of Jharkhand has assigned the responsibility of conducting entrance tests for admission into various Institutions in the state and are following entrance test. For entrance into Engineering, M.B.B.S., Agriculture, Forestry, B.V.Sc. & A.H., Homeopathic, Ayurvedic degree Courses. For entrance into Basic & Post-Basic Nursing Courses. For entrance into G.N.M. diploma Course. For entrance into 2nd Year/3rd Semester (Lateral Entry) of Engineering degree Courses. For entrance into Polytechnic diploma courses. Industrial Training Institute Entrance Competitive Examination (I.T.I.E.C.E. ):For entrance into I.T.I. NCVT / SCVT approved Courses. For entrance into 2nd Year (Lateral Entry) of Polytechnic Diploma Courses. For entrance into Diploma in Pharmacy, Various Diploma and Certificate Para-Medical Courses & Certificate course in Dresser.